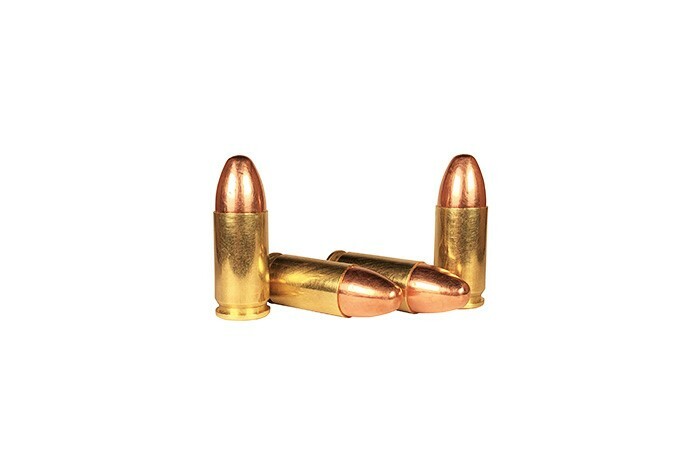 Bullets 1st Remanufactured 9mm ammunition with a TMJ 115 Grain Bullet and Brass Case. Manufactured at American Marksman Ammunition Plant. Ammunition is bulk packed. As a result, some may be tarnished and contain minor cosmetic blemishes that will not affect accuracy and function. Not magnetic.